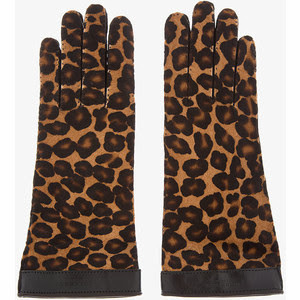 FASHION INSPIRATION DAILY: Cats in GLOVES catch no mice! Cats in GLOVES catch no mice! But they surely catch the fashion train ladies. From the creator of YOU CAN LEAVE YOUR FEDORA ON and THESE (RUBBER) BOOTS ARE MADE FOR WALKING, here's number 3 of the Cold and Windy Days Trilogy. 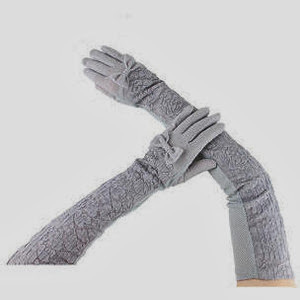 As the title (probably) hints, today I'm posting about gloves and their undisputed role in creating a complete and fascinating fall / winter look. 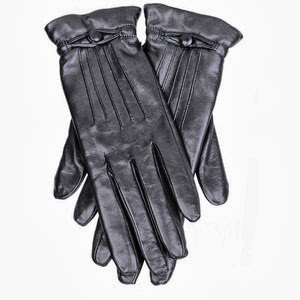 So whether you're into short gloves /long gloves, leather gloves /wool gloves, black gloves /colorful gloves or whatnot, just be sure this year you accessorize properly. Trust me, aside from the fashion plus, your hands will be grateful for the anti-age shield as cold is a common aging factor. 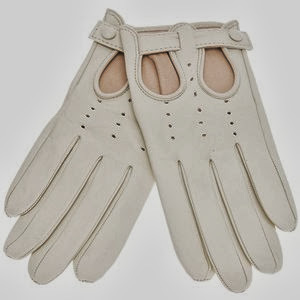 Besides, if you opt for leather, my mom taught me a great tip when I was younger: 5 minutes before putting your gloves on, rub a bit of moisturizer unto your hand. Be sure it is absorbed properly before putting your gloves on and then witness how the warm interior works to make your skin softer and silkier for a longer time. 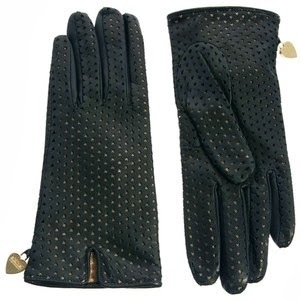 Therefore, ain't no reason to take your gloves off this season ladies! 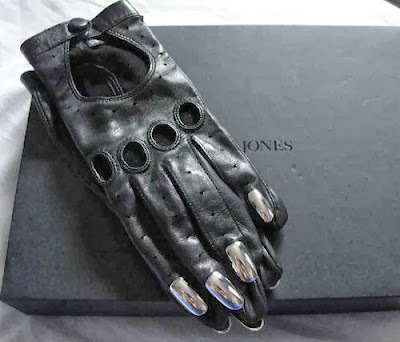 Who said studded leather gloves and a studded leather bag can't work perfectly together? Warm and comfy here made me have a sudden crave for a Sour Cherry Starbucks mocha. Or better yet, a Gloria Jeans Choc Macadamia Latte. Ever tried that before? Trust me, it's a winner. Gotta love this combo. Colors, textures, patterns, everything. Brown leather gloves for a beige trench. 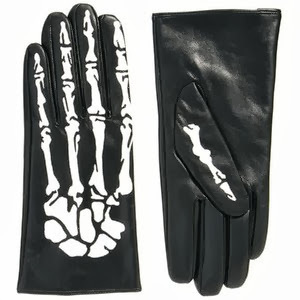 Skeleton bone gloves made "not punk". Who would have though huh? Diana is a blogger from Bucharest, Romania. She has this great sense for color and matching unexpected pieces, I just love her style. 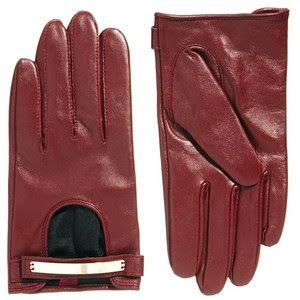 Sporting an oxblood (this fall's star color) coat here and matching red lips and leather gloves. Matching your beanie and gloves, both in terms of material as well as color, seems like the best way to spice up an all black outfit. And who said you can't wear short sleeves in autumn? As long as your gloves are long enough to keep your arms warm, of course. Quite the stylish look, don't you think? I am particularly in love with this amazing combo of icy blue coat and white leather driving gloves. And then again, why would you give up on having both a full digit leather glove AND a manicure on display? If Dominic Jones says it's possible, then it most surely is. Unfortunately they are currently sold out. Until next time, keep warm and fashionable ladies! Which reminds me, I need gloves ! You can leave your... fedora on! These (rubber) boots are made for walking!